"It used to be called plundering. But today things have become more humane. In spite of that, I intend to plunder, and to do it thoroughly." 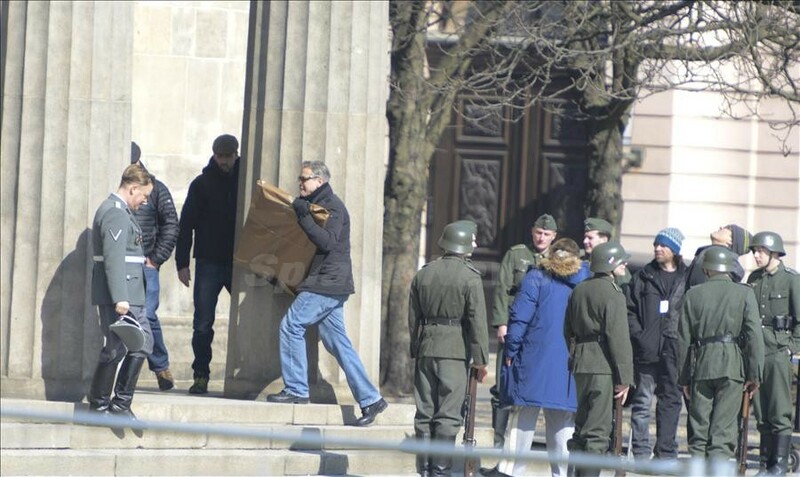 "The Monuments Men" has a great cast, including Matt Damon, Hugh Bonneville (Downton Abbey) and George Clooney. 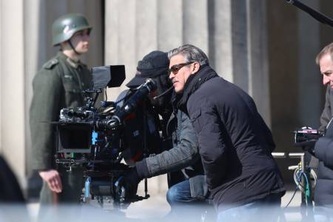 Clooney and Damon as fictionalised versions of two Monuments Men. 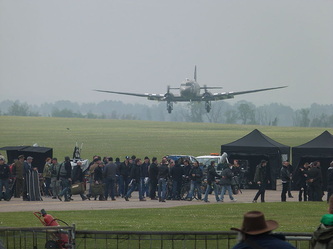 Some of the high-powered cast of the movie. Cate Blanchett as Rose Vallon. A Monet unearthed in a mine. George Clooney's upcoming The Monuments Men has a capable director, a great cast (Clooney, Cate Blanchett, Matt Damon, Bill Murray, John Goodman etc) and is based on the wartime exploits of an interesting but virtually unknown group: Frenchwoman Rose Valland who helped thwart Nazi plans to send looted French art to Germany and a team of art experts who job was to track down the places where looted art had been hidden by the Nazis. As author Robert Edsel has described in his book Monuments Men: Allied heroes, Nazi thieves and the greatest treasure hunt in history (London: 2009), approximately 350 men and women from several countries worked at various times for the U.S. Army unit known as the Monuments, Fine Arts, and Archives Section (MFAA). Many of them were art historians and museum administrators and curators, whose expertise was essential in identifying the stolen objects and tracing the rightful owners. Others were chosen because of their fluency in languiages, especially German.Their job was to locate and return art works and historical documents that the Nazis had looted from public and private collections throughout Occupied Europe, a significant portion of the latter coming from Jewish sources. Eventually the Monuments Men restored over five million cultural artefacts. 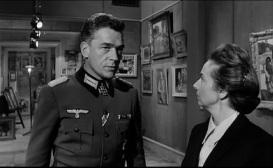 It will be interesting to see if Clooney's movie can match the calibre of John Frankenheimer's 1964 The Train, which also features a character based on Rose Villand and the French Resistance's efforts to prevent a trainload of looted art being sent to Germany. Frankenheimer's movie is one of the best war / Resistance movies ever made: exciting, tense, and with a strong moral message. A crucial contributor to the achievements of the 'Monuments Men' team was an unassuming, self-effacing Frenchwoman, Rose Valland (played in the movie by Cate Blanchett).Rose Valland (1898-1980), a product of small-town provincial France, did not come from the socially and educationally privileged elite that usually supplied Anglo-French museum and art curators. Before she gained gained several degrees in art history and fine arts, Valland had for a time tried life as a struggling artist in Paris. Unassuming, self-effacing, and rather plain and dour in appearance, she was working as an unpaid volunteer curator in Paris' Jeu de Paume gallery in the Tuileries Gardens when the Nazi Occupying forces took it over and used it as a depot to store artworks stolen from private French collections, mainly Jewish. plus a good many more displayed on the racks. " The real-life Rose Valland, played by Cate Blanchett in the movie. 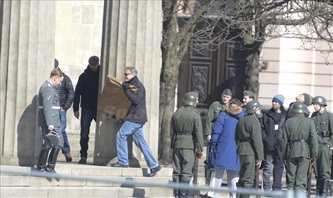 Cate Blanchett on set of "Monuments Men". The only English-language biography of Rose Valland. Goering paid 21 visits to the Jeu de Palme. Valland's work was highly dangerous. The Jeu de Palme during Occupation was not a placid museum sub-branch: its activities were carried out under the watchful eyes of top Nazis, and the ERR itself was a privileged branch of Nazi officialdom. She was under constant surveillance; torture and either a death sentence or deportation to a concentration camp awaited her if her activities were discovered.In fact, she was warned that she could be shot if any 'indiscretion' was found. Her work on the task of saving, identifying and returning looted art works to their rightful owners continued after the end of the war. Valland worked in Germany from 1945-1951 on this project and on her return to France she continued her mission to trace and return stolen French art. On the set of Frankenheimer's "The Train" with Jeanne Moreau. Valland with Suzanne Flon, who portrayed her in "The Train". Scene from "The Train" with Suzanne Flon as Valland, in a battle of wits with the movie's fictional Nazi art-lover and thief. Monuments Men filming on location: Wexford air base, near London (left) and two Berlin locations. Stephanie Goldfarb, an expert on the topic of cultural theft, points out that the Romans played an especially significant role in the annals of art theft. They "perpetuated the tradition of cultural plunder as a symbolic glorification of the conquering empire." Perhaps the most infamous example was the sack of Jerusalem in 70BCE and its destruction and pillaging of its Temple. The plunder was brought to Rome and the consequent enpormous procession of its booty can still be seen in the famous Arch of Titus. Napoleonic cultural plunder was not confined to the Italian peninsula. Prussia, Vienna and Flanders provided other sources as well.This system of "state-sponsored looting" was bureaucratically organised, led by the Commission Temporaire de Arts, which issued lists of art works to be seized in invaded countries and cities. The central repository for many of these artefacts was the Louvre. As Peter Brooks notes, at this time the Louvre (which opened during the Revolution's Reign of Terror) was "largely built on the systematic looting of Western Europe and Egypt, of which Napoleon made himself master." Under the supervision of the museum's Director, Dominique-Vivant Denon, appointed by Napoleon, the Louvre became what Brooks calls "the European capital of cultural artefacts", in which Napoleonic artistic spoils were centrally located for the education, moral and cultural improvement and enjoyment of the population, ranging from art connoisseurs, artists and the public at large. The collections, then, would not be available only to a select few; the people could participate as well. Relief from Arch of Titus, Rome, depicting looting of temple of Jerusalem 70 BCE, by Roman soldiers. Remains of part of Persepolis after its destruction and looting by Alexander the Great. The famous marble horse of San Marco, Venice, 'removed' by orders of Napoleon. 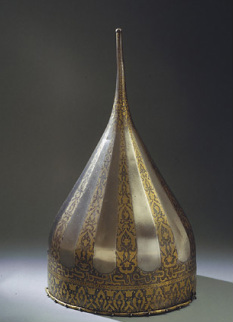 Helmet of Russian Tsar Ivan the Terrible, taken by Gustavus Adolphus of Sweden. Hundreds of artefacts looted from the Kuwaiti National Museum in 1990 by Saddam Hussein's army remain 'missing'. Russian looting of German art and artefacts during the end of the World War 2 still remains a contentious issue. 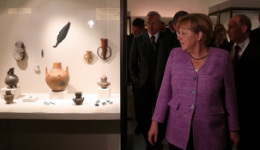 Leaders Merkel and Putin inspect a display of some artefacts during a recent meeting. 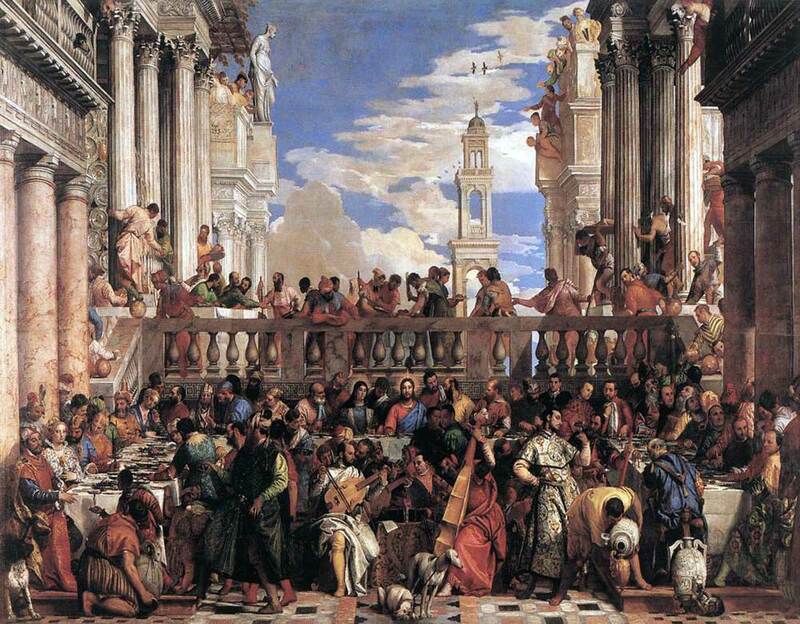 Veronese's 'Marriage at Cana': the magnificent, enormous painting taken by Napoleon from Rome. It is still in the Louvre, in the same room as the Mona Lisa. Titian's 'Christ Crowned With Thorns', stolen from Milan, can still be seen in the Louvre. 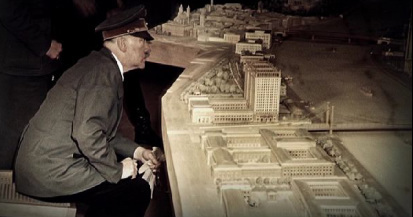 Hitler surveying a model of his planned Linz cultural center. Stephanie Goldfarb notes that "as under Napoleon, Nazi art looting was state-sponsored, but the nazis took it to an entirely new level." It began as the destruction of so-called 'degenerate' art and the confiscation of Jewish cultural treasures in Germany, then spread to the occupied territories of Europe, including Poland, France, Italy, Belgium, and the Netherlands (worth an estimated 21-22 billion US dollars today). Many of the art works were intended for the private collections of Hitler and Goering, and other top Nazis. Others were earmarked for Hitler's planned Fuhrermuseum in Linz, Austria, his adopted home town, and the burial place of his parents. Hitler intended to rebuild Linz as a magnificent cultural center housing the finest art museum in the world, crammed with art treasures taken from all over Europe. Not only did the scale and value of Nazi cultural looting surpass all other examples in history. It was also unique in its ideologically-based religious and ethnic motivation: a form of cultural 'cleansing' of the cultural heritage of what the Nazis deemed to be 'inferior' races and cultures. The Nazi state apparatus even set up a special unit headed by Alfred Rosenberg for 'acquiring' art objects - the Einsatzstan Reichsleiter Rosenberg (ERR). The Nuremberg Tribunal condemned Rosenberg to death for, among other crimes, his part in what it called "a system of orgnaised plunder of both public and private property throughout the invaded countries of Europe." 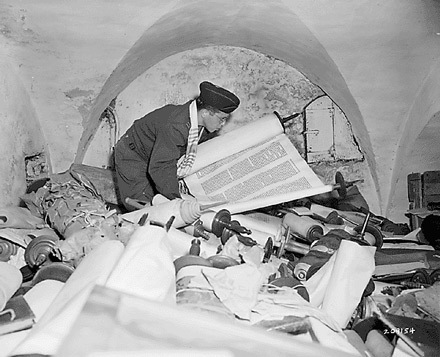 Photo left above shows a U.S. soldier, Corproal Donald Omitz, examining a painting recovered from storage in a German mine; above centre shows a soldier sorting stolen Hebrew and Jewish documents stolen from synagogues etc. ; right: two members of the Monuments Men team examine paintings found in a German mine. Above left: looted Rembrandt portrait recovered in MUnich, 1945; Right: one of the Monuments Men examining rescued Italian art. The movie correctly refers to the roles of President Roosevelt and also General Eisenhower, Supreme Commander of the Allied Expeditionary Forces, in establishing the Monuments Men team. Illustration left shows Eisenhower and General Patton inspecting art rescued by the Monuments men team. "Shortly we will be fighting our way across the Continent of Europe in battles designed to preserve our civilization. Inevitably, in the path of our advance will be found historical monuments and cultural centers which symbolize to the world all that we are fighting to preserve. It is the responsibility of every commander to protect and respect these symbols whenever possible. In some circumstances the success of the military operation may be prejudiced in our reluctance to destroy these revered objects. Then, as at Cassino, where the enemy relied on our emotional attachments to shield his defense, the lives of our men are paramount. So, where military necessity dictates, commanders may order the required action even though it involves destruction to some honored site. But there are many circumstances in which damage and destruction are not necessary and cannot be justified. In such cases, through the exercise of restraint and discipline, commanders will preserve centers and objects of historical and cultural significance. Civil Affairs Staffs at higher echelons will advise commanders of the locations of historical monuments of this type, both in advance of the frontlines and in occupied areas. This information, together with the necessary instruction, will be passed down through command channels to all echelons." Most accounts of the reasons behind the formation of the Monuments Men overlook the significance of the Allied forces struggle to capture the vital strategic Italian Monte Cassino monastery, on a 500 foot high hill which overlooked the narrow Liri Valley through which the Allied forces had to pass to enter northern Italy. Crack German forces had taken over the 1400 year-old Benedictine monastery, which for centuries had been the depository of invaluable religious works of art. They turned its environs into an almost impregnable fortress, setting up fields of fire, minefields, fortifications and demolishing stopbanks to flood strategic areas. Allied forces, including the [free] Polish Army and the New Zealand Division, plus its Maori Battalion, attacked repeatedly. 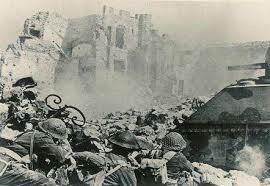 Unaware that the Germans had shrewdly deployed their forces in the much more defensible zone outside the monastery, they called in airstrikes which eventually demolished the Monastery. Not a single German soldier was killed. The ruins simply provided more defensible positions. Consequently, the eventual capture of the site came at considerable Allied cost. Nazi and Italian Fascist propaganda claimed that the Allies had wilfully destroyed the irreplaceable art works, a lie that is still repeated in some accounts of the battle. In fact, Eisenhower had months earlier ordered that as far as possible Allied forces must "endeavour to protect all Italian monuments." 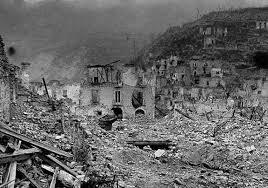 For weeks Allied commanders refused to attack the Cassino directly for fear of being labelled cultural vandals, with the result that troops and their loved ones increasingly claimed that Allied men were being sacrificed in order to protect cultural artefacts. However, the Axis propaganda portraying the Allies as uncouth barbarians may well have influenced the decison to set up the Monuments men team. What the Allies failed to realise until too late was that, with the exception of some frescoes on walls, all the invaluable cultural artefacts had been safely removed from the Monastery some months before the battle. Under the supervision of Oberstleutnant Julius Schagel, a hundred trackloads of art, statues manuscripts and books - and the remains of St. Benedict - accompanied by monks from the Abbey, were transferred to Rome. The Reich Propganda Division filmed the transfer in detail. It was the subject of one of their weekly newsreels, Die Deutsche Wochschau, shown in German cinemas in February 1944. Ironically, fifteeen cases of artworks from Cassino were looted by the Hermann Goering division and sent to him as a birthday present. Above left image shows how the Monastery site commanded the strategic valley below. All three images show the extent of the destruction caused by the American Air Force's bombing. 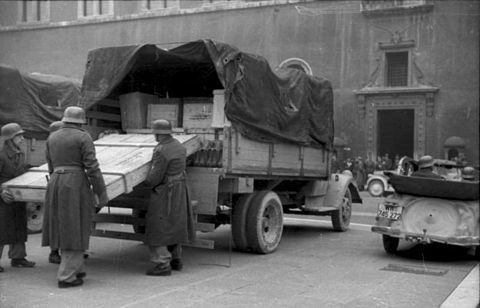 Below left: German soldiers unload trucks containing art and artefacts taken from Cassino . Below right: American trucks returning looted art works to Florence get a civic reception. 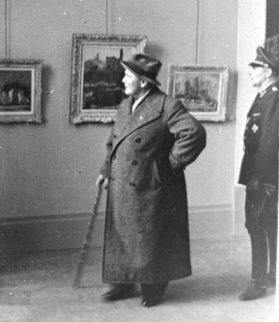 Goebbels inspecting the infamous 1937 Exhibition of Degenerate Art, which included hundreds of artworks by many of the most famous artists and sculptors of the twentieh century. 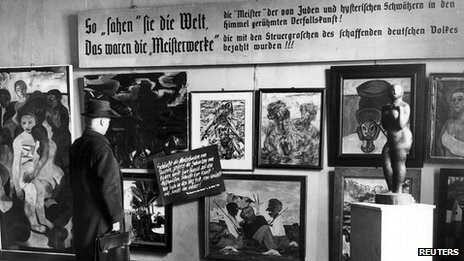 A visitor to the 1937 peruses artworks deemed degenerate by Nazi authorities. Some of these paintings etc were destroyed by the Nazis when the Exhibition ended. In early November, 2013, German authorities announced the discovery in Munich of a hoard of some 1500 art works looted during the Nazi era, including works by Matisse, Chagall and Picasso, as well as other from previous centuries, with an estimated total value of about a billion Euros. Some of the paintings have never before been seen.The cache was hidden for over six decades in a disheveled apartment owned by reclusive octogenarian Cornelius Gurlitt, son of influential pre-war art dealer Hildebrandt Gurlitt who helped Nazis acquire looted art works. Part of the hoard consists of works shown at the notorious 1937 Exhibition of Degenerate Art. Others were either seized from Jewish owners or were sold by them under duress at ridiculously low prices. The invaluable collection was actually discovered by Bavarian customs police in February, 2011, but their recovery was not announced at that time. Officially, this was in order to allow authorities time to try to solve the vexed problem of deciding legal ownership of the paintings. but already allegations of a coverup are emerging. Cornelius Gurlitt has apparently vanished. 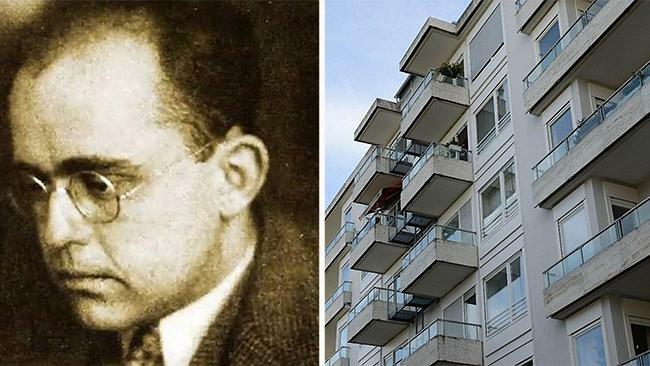 Hildebrandt Gurlitt, and the apartment building in which the hoard of stolen Nazi art was found in Munich. Max Beckmann's 'The Lion Tamer' - one of the stolen paintings that was sold by Cornelius Gurlitt for cash before the discovery of the cache of art works.